Art historian Anne Ellis, who managed Hill House, in Helensburgh, another Mackintosh masterpiece, for 12 years, said: “All we’ve heard from the board and management since the June fire is them saying it wasn’t their responsibility and it was a building site that was being looked after by a construction firm. “But this is not a new building, it’s one of Scotland’s most precious buildings. “It beggars belief that is all they are saying and it makes me very angry. Anne was the property manager at Hill House in Helensburgh between 1990 and 2002. She has also sat on the curatorial committees at the Glasgow School of Art and is a member of the advisory board for the Willow Tea Rooms in Glasgow, which is being refurbished. In her time at Hill House she oversaw two major refurbishments. The tourist attraction is currently shut again for more work. 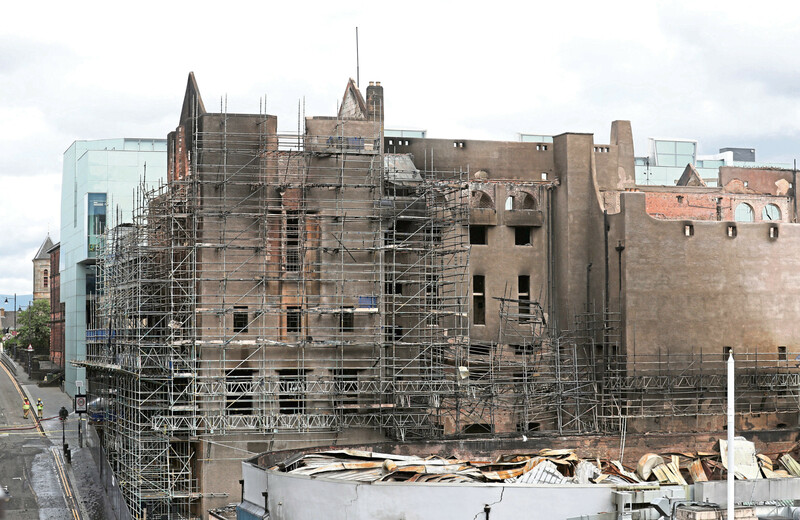 She said: “We now have the situation where two of Mackintosh’s most famous buildings are off limits to the public and that’s not right. “I supervised two major renovations of Hill House in my time. “My job was to make sure the building site was safe and fine. I checked every night that things were switched off. Ms Ellis said speaking out could risk her relationships with some in Scotland’s art community but she felt it was the right thing to do and would help strengthen the case for a total rebuild of the Mackintosh building. She said: “There are some simple questions that need to be answered. What were the workers and guards doing on the site? Why did the fire spread so rapidly? Why was the sprinkler system not completed? And what happened with the fire doors? She said the iconic building should be rebuilt but there could be public opposition to the plans should the current art school management team stay on. “It’s not a building that was built badly, it’s a building that has been handled badly. “Would it be good politics for them (the Glasgow School of Art board) to stay? “If we need fundraising to bring back the building, who is going to give them money? There has been two major fires in four years. “These people are making decisions that are not putting the building first. “It’s been a building that has been looked after for over a century.